A report in Madrid-based AS suggested that the German midfielder was considering his options this summer after a particularly disappointing campaign in which his club haven’t made it beyond the last 16 of the Champions League and will finish far behind Barcelona. Manchester United have been linked with a move for the proven pass-master with Paul Pogba’s future uncertain, Ander Herrera set to depart and a general dearth of experience in central midfield. 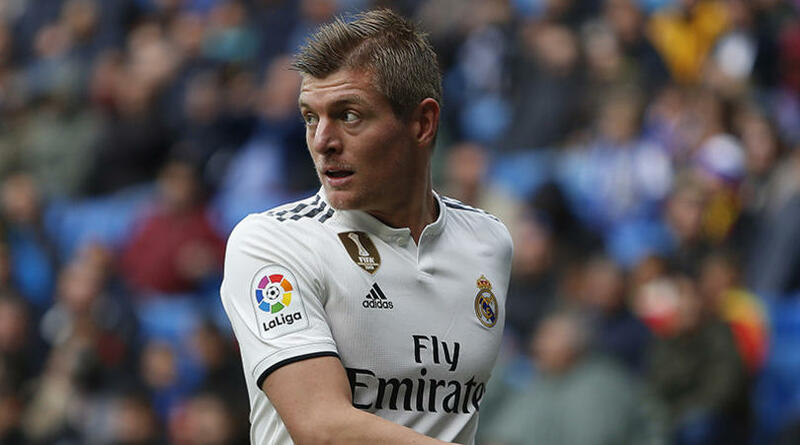 The newspaper suggested that Kroos was looking for a fresh challenge – a decision which may have been looked upon favourably by a Madrid board trying to free up funds for younger arrivals like Pogba. But Kroos spotted the report via Twitter – and bit back to deny the ‘absolutely false’ claims. Kroos has played 47 games for club and country this term, scoring one goal for Real Madrid.